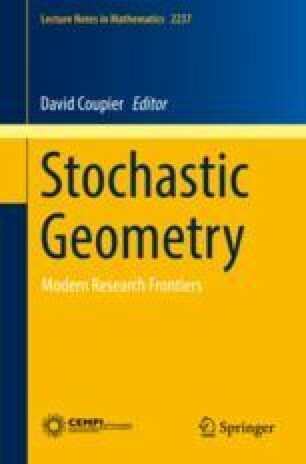 These lectures about stochastic methods for image analysis contain three parts. The first part is about visual perception and the non-accidentalness principle. It starts with an introduction to the Gestalt theory, that is a psychophysiological theory of human visual perception. It can be translated into a mathematical framework thanks to a perception principle called the non-accidentalness principle, that roughly says that “we immediately perceive in an image what has a low probability of coming from an accidental arrangement”. The second part of these lectures is about the so-called “a contrario method” for the detection of geometric structures in images. The a contrario method is a generic method, based on the non-accidentalness principle, to detect meaningful geometric structures in images. We first show in details how it works in the case of the detection of straight segments. Then, we show some other detection problems (curves, vanishing points, etc.) The third part of these lectures is about stochastic models of images for the problem of modeling and synthesizing texture images. It gives an overview of some methods of texture synthesis. We also discuss two models of texture images: stationary Gaussian random fields and shot noise random fields.